You can determine what aura colors are compatible by matching similar aura characteristics. Another way is to use primary, secondary, tertiary, and complementary colors for matching aura colors. One excellent way to match aura colors for potential compatibility is to group the aura colors together that have the same or similar meanings. Possible compatible aura colors for a healer have strong connections to the earth. Rainbow aura: A rainbow aura reflects a healer with a high spiritual frequency. Forest green: These individuals are natural healers with a strong connection to nature. Turquoise: This color is seen in healers attuned to nature cures, such as herbs and crystals. Brilliant yellow auras: This aura reveal a spiritually awakened person. Pale-yellow aura: A person with this light yellow aura is on a spiritual path and will have much in common with a person with a brighter yellow aura. Royal blue: This color represents a highly evolved spiritual person with excellent intuitive and psychic abilities. Silver and gold: Both aura colors are found in positive spiritually evolved individuals. Violet: This aura color shows up in people who are able to change opinions, beliefs, and influence with the power of their spiritual love. Red auras reflect passionate people and the most positive aspects of this energy is to attract like energies. Different reds share some characteristics and can make excellent partners. Dark red: A person with a dark red aura is confident and centered. Bright red: A bright red aura indicates a passionate, energetic, and sexually strong persona. Bright orange: A bright orange aura is the sign of a vibrant healthy person who enjoys life to its fullest. Orange-red: An orange-red aura reflects a powerful personality that has great confidence. Pink: This aura is found in very loving individuals who also have psychic abilities. People who are creative with a strong work ethic and good communication skills often make great matches. Orange-yellow: Orange-yellow auras demonstrate a strong work ethic and enjoys challenges. Light blue: This aura is found in individuals with exceptional communication skills. Violet: This aura color emanates from gifted visionaries and can complement orange-yellow auras characteristics. Indigo: A person with this aura thinks far outside the box in a never-ending drive to find answers and solutions. 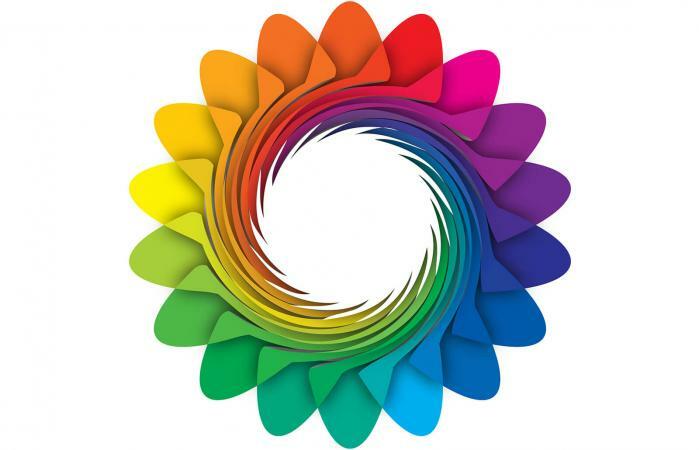 You can match potential compatible auras by using color theory, such as primary colors, secondary colors, tertiary colors, and complementary colors. Primary colors are original colors that aren't created by mixing other colors. There are three primary colors that include, red, blue, and yellow. All other colors are made by mixing primary colors. Matching a primary color with another primary color may result in compatibility. Secondary colors are created by mixing the primary colors. Match the secondary colors to either of their primaries. Blue and yellow create the green. Red and blue create purple. Red and yellow create orange. Tertiary colors are created by mixing a primary and secondary color. Match a tertiary color to any of the primary or secondary colors that create it. White is the reflection of all colors while black is the absorption of all colors. White is a highly spiritual frequency aura color. Black is a dense low frequency aura color. These two opposite aura colors and meanings are too opposite in meaning and frequency, making them incompatible. There are a few ways you can approach determining the compatibility of aura colors. Decide which method gives the most possibilities to find your best match.